Tired of the same old boring deviled eggs? 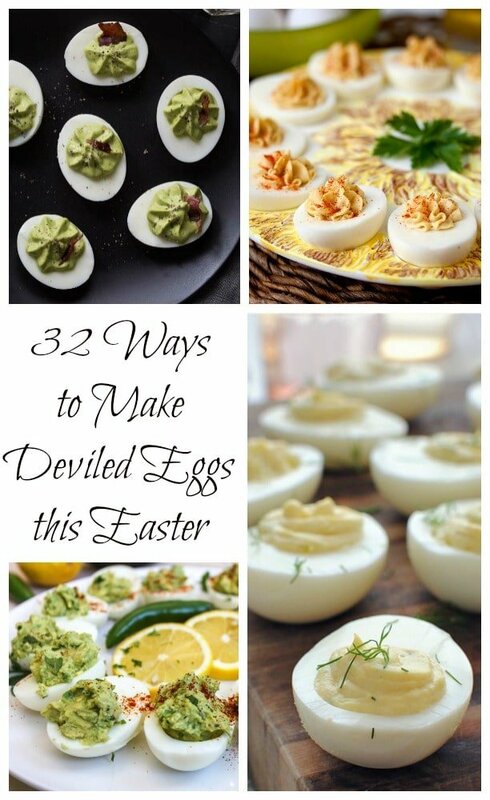 Try a new way to make them this Easter with these 32 Ways to Make Deviled Eggs. I don’t know what other holiday utilizes eggs more than Easter and each year I tend to make the same kind of deviled eggs; my version of Chick Deviled Eggs made with Dijon mustard and mayonnaise (recipe below). This year, I scoured some of my favorite food blogs and found 32 Ways to Make Deviled Eggs this Easter that will surely kick your eggs up a notch. Though our family still colors eggs every year, we no longer hide them. I guess at 18 and 13 they’re either too old or too cool. 🙂 Even when we did hide eggs on Easter morning, we would use plastic eggs for the hunt as there is nothing worse than the smell of a forgotten hard boiled egg! Before we start with these fabulous recipes, you have to first make the hard boiled eggs. Everyone has their own take on this whether it be boiling or baking, but this is the method I use and it’s worked for us for as long as I can remember. STEP 1: Place eggs in a single layer at the bottom of a saucepan. Add cold water to cover eggs and 1 tbsp. white distilled vinegar; which helps the shell peel easier. Heat over high heat to just boiling then remove from burner and cover pan. STEP 2: Let eggs stand in hot water for 12-13 minutes for large eggs. Check to see if the eggs are done by removing one of the eggs and spinning it on it’s vertical axis. If the egg spins straight, it’s done; if the egg wobbles and falls, place back in the hot water for another 1-3 minutes until it’s finished cooking. Here are 32 Ways to Make Deviled Eggs this Easter. Click on the recipe name to be taken to the author’s original post and let me know which one you decided to try. ~Enjoy! This is honestly EXACTLY the kind of post I was looking for. Love them deviled eggs, and this round-up is simply awesome! 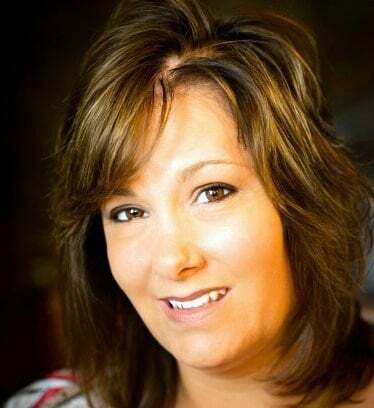 Great share, Carrie!! Thanks Ala, I’m so glad you liked the post. Thanks for stopping by! So excited to try some of these. Thank you!